A baby incubator is the most vital devices in every pediatric and obstetrics hospital as it provides a warm and safe environment for newborns and specifically for premature or sick babies who require special care. However, a top grade incubator does a lot more than this as it has a large number of functionalities, such as a built-in skin temperature monitor and an infant scale which monitors the baby's condition all the time. What exactly is the purpose of placing a baby in an infant incubator for the initial few days of their life? As homeotherms, humans can produce and maintain their own heat however, a newborn baby’s capability to do so is greatly restricted. Preterm babies are at higher risk of medical complications and even death and thus they require extra care and support. Some babies who are ill or disabled require round the clock care for weeks or months in a 360°visibility incubator. Various first-aid devices such as an oxygen mask and cylinders or infusion sets can be attached to the incubator in case of emergency. With the temperature probe, the incubator can compare the difference between the ambient temperature and the temperature in the incubator and change the power output accordingly to provide the baby with a more stable internal temperature. Babies born before 31 weeks face the danger of suffering from evaporative water loss. 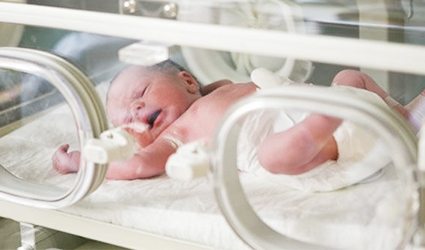 An incubator equipped with a humidity sensor will be able to adjust this to the most suitable humidity for babies. If you have any questions or need help selecting the right incubators, feel free to contact Ddu (www.drugdu.com) Leading Global Pharmaceutical & Medical Device B2B Online Platform. We offer a variety of baby incubators, click here to view them now.